The sample of 30 people who took the questionnaire ranged from ages 16-19 years old and are my friends and family. They were all female as that is my target audience. · Pop is the preferred music genre, however it is only favored by one more person than indie. 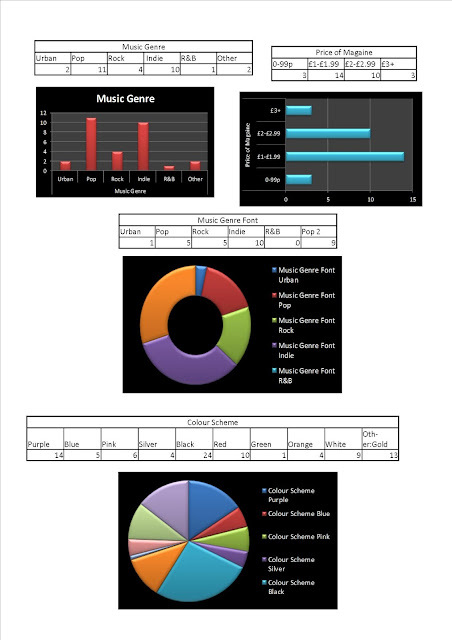 · Indie music Font was most appealing however over all with the sum of both pop fonts it was favored. 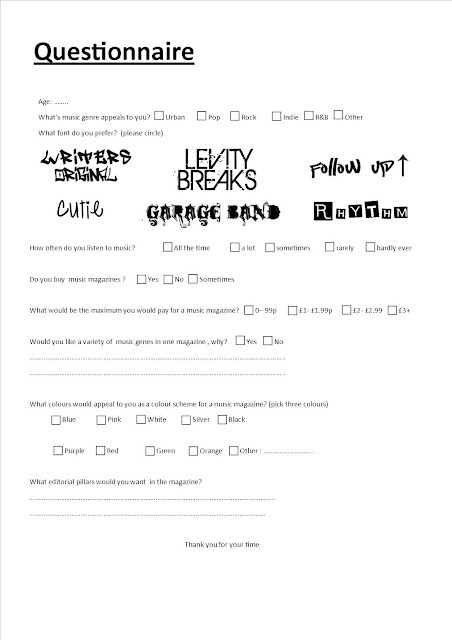 Would you like a variety of music genres in one magazine? Some people were against this idea as the whole magazine content wouldn’t appeal to them and therefore would see it as a waste of money and also they felt that it would be too busy and wouldn’t have a specific and define target audience; it would be to open. However the major of people said yes they would as they can be introduced to new artist and genres and get an insight to all the genres and elements of the music industry. What editorial pillars would you want in the magazine? The most popular were interviews with artist, also feature pages on new releases, images, posters, latest gossip. Looking at questionnaires on a whole: they were quick and easy way to get information but are really valid because my sample wasn’t big enough and plus it mostly produced quantitative data. 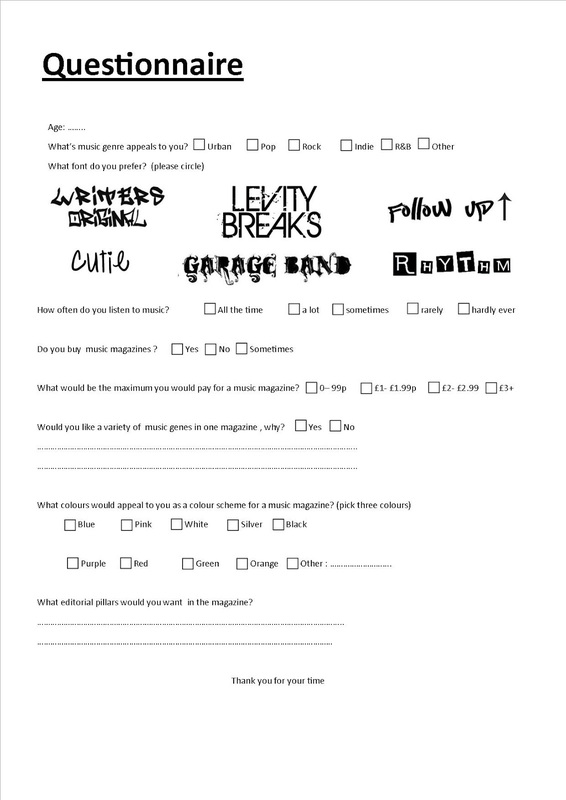 However I did find it helpful with devolving and having feedback on my ideas of colour schemes, what to include in my magazine and a variety of music genre in one magazine; I found the questions that produced qualitative data were useful.